What’s It Like to Have Your Body Fat Percentage Taken? My tech-savvy husband decided to order one of those scales that links to an app on his phone to track not only his weight, but his body fat percentage as well. I decided to step on the scale, confident my 20 months of CrossFit would spit an awesome number back at me. I was surprised — it said I had a 31.8 percent body fat percentage, putting me in the “overweight” category. I lift heavy weights and have muscle — shout-out to my lats and booty! — but I didn’t think I was overweight. I searched what a normal range was and found that 25 to 31 percent was considered “normal.” By that chart’s standards, above 32 percent of the population was considered “obese,” and I was just on the verge of hitting that number. This didn’t add up in my head. I work out regularly, I eat healthy, and I have muscle definition. So why did this scale say I was overweight? I made an appointment at the gym where I have a pool membership to get my body fat percentage measured by an expert. 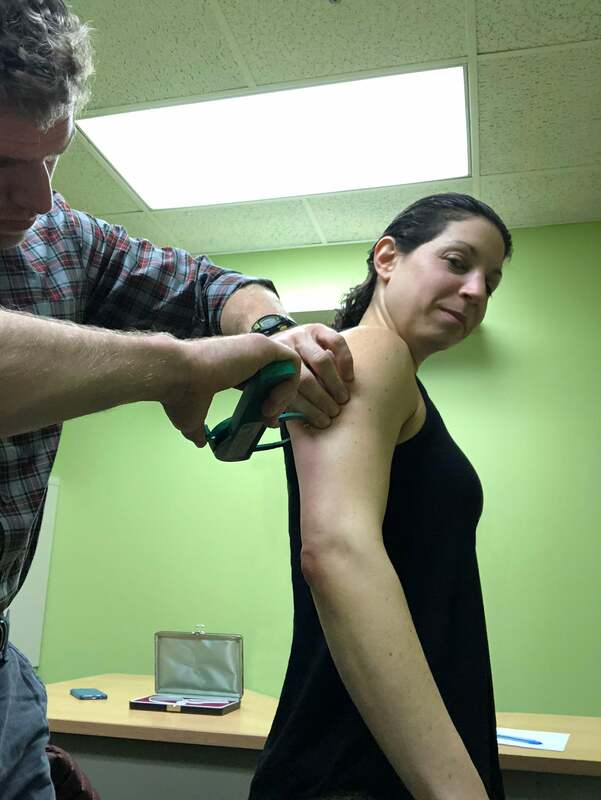 Ian Shaw, an experienced personal trainer with a clinical exercise sciences degree, performed a skinfold test to determine my numbers. He used the caliper above to basically squeeze my fat (#goodtimes), measuring these seven areas of my body: subscapular (by my shoulder blade), triceps, mid axillary (by my armpit), chest, suprailliac (above my hip), abdomen, and thigh (this one hurt the most!). He did each area twice to get an average of each of the two measurements. I’m not going to lie. It was a little weird and uncomfortable having a complete stranger touching me and squeezing me in sensitive places. But I just considered it like an appointment with a doctor, and he was incredibly professional, so after the first set of measurements, I loosened up a little and felt totally fine. 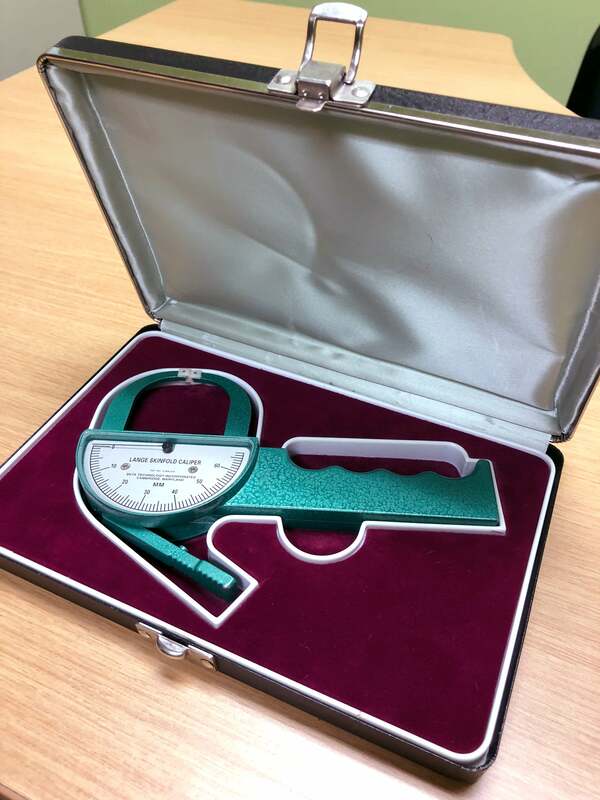 How Accurate Are Body Fat Percentage Scales? After plugging my numbers into an app on his phone, he said my body fat percentage was 22.77 percent. That bumped me to the “fitness” category. That sounded more like it! I felt better hearing a professional tell me that, but it made me ask Ian — what’s up with those scales? He said the way they work is, “The machine sends an electrical impulse from point A to point B.” The frequency of the wave and the speed at which the wave travels determines the density of the tissue, which calculates your estimated body fat percentage. He assured me that scientific research has shown that scales like that overestimate fat mass on lean people and underestimate fat mass on the obese. In other words, they’re inaccurate. Those scales aren’t able to take into consideration how much you’ve eaten or drank or whether your bladder or bowls are empty or the difference between fat, muscle, and bone. If you already have a scale like that, this should make you feel better if the numbers seemed high to you. You could still use it to weigh yourself regularly. Just be sure to step on it at the same time of day for consistency. If you keep track of those numbers, you’ll be able to see trends in your weight-loss progress. 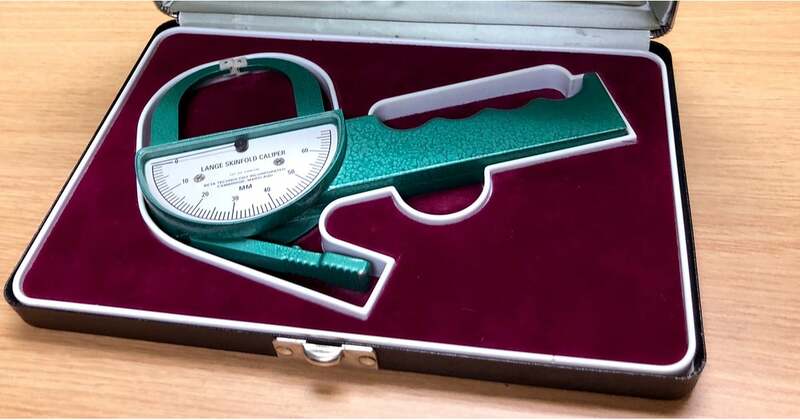 If you don’t have one of those scales, save your money and buy a regular old scale without any bells and whistles. Ian also made the point that scales aren’t for everyone. If you’re able to use one and have it positively encourage healthy progress toward your weight-loss goals, then great! But if a person becomes obsessed about the numbers and it negatively affects their body image, exercise routine, and nutrition or creates an unhealthy relationship with food, then they should skip the scale and use another method of tracking their progress. Having your body fat percentage taken like I did is an option (he recommended every three to six months, depending on your goals), but you can also see how your clothes fit, take monthly pics, and assess your energy, strength, and ability levels to determine if you’re meeting your goals.